The retro styled 777 Casino is part of the 888 Holdings iGaming giant. It was launched in 2015 and it holds a gaming license from Gibraltar Regulatory Authority and UK Gambling Commission. 777 Casino will virtually carry you in the atmosphere of the 50s in Las Vegas. The design theme successfully created a sophisticated, nostalgic and optimistic feeling. When you open the website, you will see the vast Nevada desert and the route that reached the most famous gambling location on earth. A retro cabriolet and a vintage billboard complete the scene. 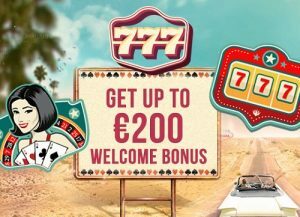 Despite being a newcomer, 777 Casino draws from 888 Holding’s experience in the gaming industry, and it has created a strong service and offer from the beginning. The iGaming Intelligence 2015 award for excellence proves the reliability and strength of the brand. The game menu is simple and efficient. You can also bookmark your favorite games, for easy access when you want to play them after your first visit. NetEnt is the popular software provider behind the 777 Casino. Players can choose from a good variety of the most popular slot games and progressives, such as Millionaire Genie, Starburst, Rainbow Riches, Irish Riches, Twin Spin, Dazzle Me, Jack and the Beanstalk and many more. Classic casino games lovers find blackjack, baccarat, roulette and their variations. Live casino, streamed in real time from an actual land based casino, is the ultimate experience that will entertain the fancier players. Professional croupiers throw their dices or deal their cards in Live Roulette, or Live Blackjack. Each game on the website has a description and history accessible just by clicking its name. This comes in handy if you are curious about the jackpots generated in the last couple of months. 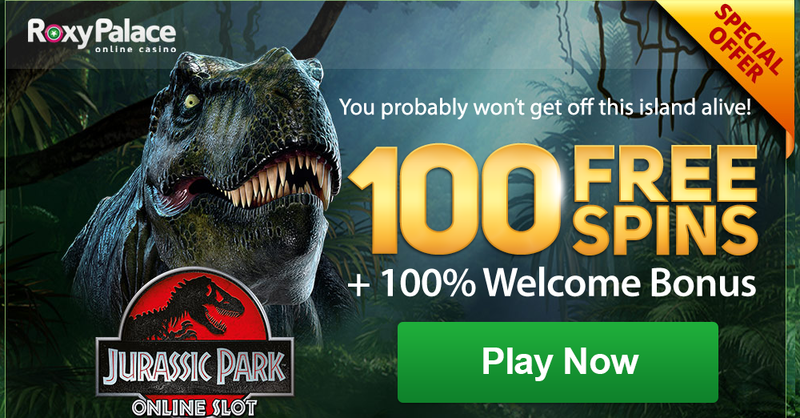 The welcome bonus is worth 100% up to £200, with the code WELCOME777. The wagering requirement are 30x, and can be used on any casino game you wish. Four additional deposits worth up to £1,500 are to be claimed with the codes 1LUCKY7, 2LUCKY7, 3LUCKY7, 4LUCKY7 and 5LUCKY7. The wagering requirements and conditions remain the same as for the initial bonus. Loyal customers are awarded with points for each wager they place. They differ from one currency to the other, but $/£/€10 are worth 1/1,5/1,35 points, that can be exchanged for $/£/€1. Each day of the week has a different bonus offer. Mondays it is 30% FreePlay on 7 jackpot games the casino features. Tuesdays is Mystery FreePlay bonus. Wednesdays is Raffle prize, worth up to $777 in bonus cash. Thursdays’ offer is boosting your bankroll with a bonus worth up to $97. Fridays is cash back day. Saturdays is Double Comp Points day. Sundays you can win a surprise bonus just for logging in. The clients that live in UK, Australia, Sweden, Canada and Germany have a dedicated no deposit bonus of £21. The mobile version of the website keeps the same retro theme, and is compatible to all mobile or tablet devices. The welcome offer, including the no deposit bonus, can be accessed from the mobile website under the same conditions as the desktop version. Deposit and withdrawal are made via credit and debit card, Visa, Skrill, Neteller, PayPal, EntroPay, Webmoney, eKonto, Giropay, iDeal, POLi, bank transfer and fast bank transfer. The minimum deposit and withdrawal amount is £10. 777 Casino claims to process all withdrawals within 48 hours. Customer support in offered 24/7 in English via toll free phone line for UK, Germany and Sweden or via e-mail, with the promise to respond within 24 hours.